The cost of fuel, like the great British weather and house price inflation, is one of our abiding national obsessions – and with good reason. The headline figure for diesel on the forecourt might be shrinking at present but that is destined to be only a temporary rest-bite from an ever upward trend. Indeed, motorists even now have good cause to bemoan that oil companies rarely lower their prices with as much alacrity as they subsequently raise them. As a consequence the onus is on vehicle manufacturers to squeeze every last saving from its latest innovations in engine design and Citroen is no exception. 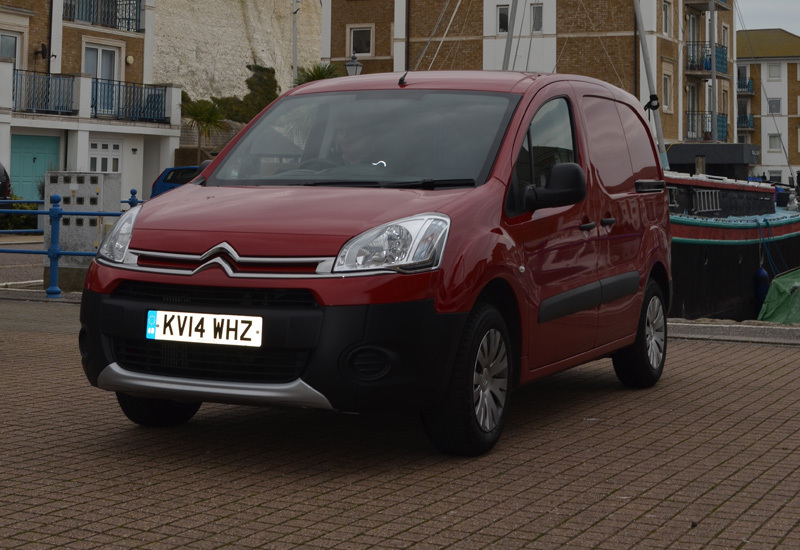 The Berlingo remains the French manufacturer’s best-selling light commercial vehicle and with recent improvements to its fuel consumption that status is likely to be maintained. There’s now a choice of even more efficient models, with improvements to the Euro 5 HD1 and e-HDi Airdream micro-hybrid drivelines delivering up to 62.8mpg on the Combined cycle. Even Professional Builder’s XTR+ test model, with its comparatively more responsive 90hp engine achieving a maximum torque of 215Nm, still delivers a frugal 56.5mpg. Hitting these figures requires not one but a whole package of measures, which are not confined to what you’ll find under the bonnet. With the Berlingo advanced, fuel-efficient, low emissions Euro 5 Petrol and HDi engine works in tandem with a Diesel Particulate Filtration System (DPFS) to provide self-regeneration capability. In addition, all Citroën HDi engines run on up to 30% bio-diesel without effect on warranty or the need for technical modification. Citroen is also fully on-board with the by now almost ubiquitous Stop & Start technology, and its version uses an advanced micro-hybrid starter/generator to restart the engine quickly and smoothly. The system also benefits from regenerative braking to recover and store energy that would otherwise be lost when slowing down or braking. 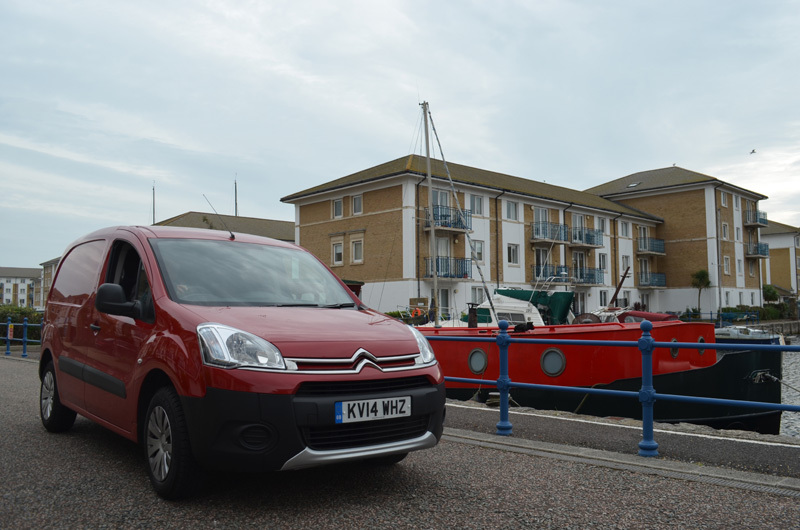 Fuel efficiency aside navigating your way around our crowded little island means that you’ll need to make use of all the available space inside and the Berlingo is equipped with some interesting design features to do just that. The payload of the XTR we drove comes in at 661kg including driver, which sits at the lower end of scale that ranges from 625 – 850kg. There’s also two separate load lengths (L1 and L2) both sharing a common 2,728mm wheelbase. The L1 has a compartment volume of 3.3m3 whilst the L2 a roomier 3.7m3, extending to 4.1m3 in the LX and Enterprise models. Where it gets more interesting is in how the extra space is apportioned in selected models. The load carrying capabilities of the Berlingo LX, XTR+ and Enterprise vans is enhanced with Citroën’s modular Extenso cabin. It can accommodate a driver and two passengers, thanks to a middle seat but the outer passenger seat can also be folded away to enable loads of 3.0m (L1) or 3.25m (L2) to be carried. The outer passenger seat can also be configured so that its seat cushion can be raised vertically against the seat back, to enable tall items to be carried on the cab floor next to the driver. This increases the overall load space by 0.4m3.